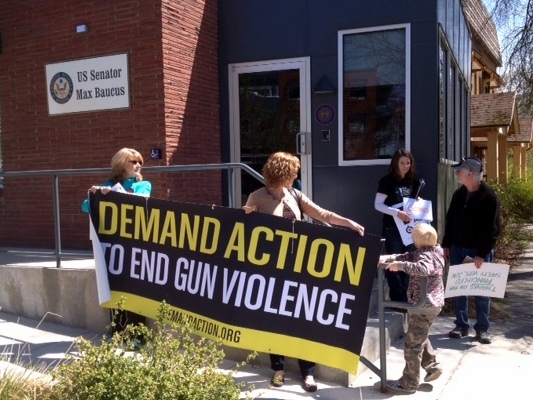 About a dozen people, including moms pushing babies in strollers, held a small rally today outside the Missoula offices of Senators Max Baucus and Jon Tester over the issue of gun control. Organizer Nancy de Pastino of the group “Moms Demand Action” says they wanted to thank Tester for his support of expanded background checks on gun buyers, and to say “shame on you” to Senator Baucus for voting against the expansion. Baucus’s office was closed during the lunch hour protest. The senator has said he voted against the background check expansion because that’s what the majority of Montanans wanted him to do. He says if a new bill is introduced he will evaluate it based on the feedback he gets from Montanans. 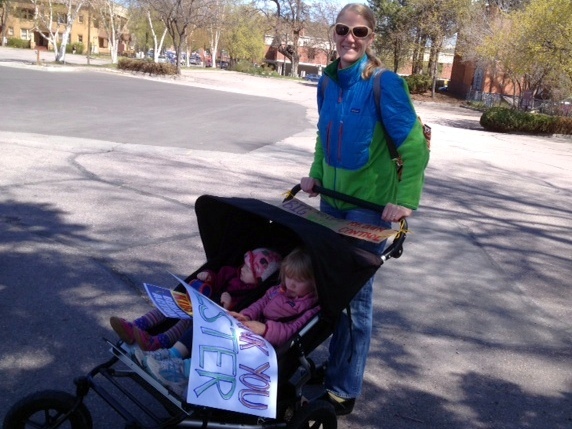 Maggie Angle brought her two young daughters in a stroller to today’s rally. 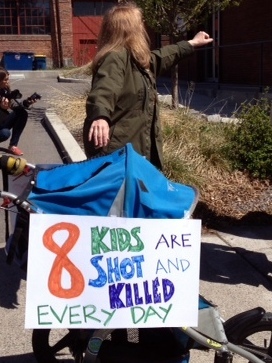 She says the Newtown shootings changed everything.